We’re going to do a Quick Wins interview. If this is your first time tuning in, Quick Wins is when I have an opportunity to connect with individuals discussing ideas, products or services to help round out your consulting toolkit. Our guest is Biren Gandhi. He is a technology senior executive, worked for a lot of cool companies such as Facebook and other tech firms. Biren is going to help facilitate what I call a disruptive technologies one-on-one conversation. I’ve had a lot of mentees and some go-getters that have been having conversations about all these cool technologies that’s coming and that’s hitting the marketplace. There’s a lot of noise in the system around AI, Artificial Intelligence, around blockchain, AR/VR and fog computing. Biren came on the show graciously and started to break these down. He has a front seat as one of the tech senior executives that are helping drive this type of technology forward and in advancing that agenda. He’s going to break it down for us, get into the one on one. I know that you will find this conversation very informative. We don’t get a chance to even cover all of the various technologies. I’ve asked him to come back. If you’ve got questions, thoughts, opinions on the interview, feel free to drop me a line, MECEMuseUnplugged@Gmail.com. Other quick updates, go-getters, the Amazon, Kindle and Nook is available for my book The MECE Muse. We’re still taking pre-orders. The paperback is going to be released on February 20th, so make sure you do get your pre-order in. I’ve gotten a lot of great feedback, a lot of positive thoughts and ideas, and so I’m super excited that people are enjoying the book. Make sure you grab your copy and be prepared for the paperback. I’m super psyched as the book launch continues to roll out. With that, I hope you enjoy this interview. Biren, thank you so much for joining us on The MECE Muse Unplugged. How are you doing? Pretty good. It’s my pleasure to be on the show. What part of the world are you in right now? I’m in the Cupertino, the sunny Silicon Valley area right now. Disruptive Technologies 101: The whole world is working on that shared economy, shared knowledge and shared best practices. Thank you so much for making time to connect. Before we get started with an important conversation on disruptive technologies, maybe you can introduce yourself to the go-getters of The MECE Muse Unplugged. My name is Biren Gandhi. I have worked at Cisco for almost seven years doing a variety of things. Before that, in the past life, I’ve been fortunate to be in the pivotal stages of various interesting companies like Facebook and Zynga, and I had my own startup in between as well. I went on in Silicon Valley focusing on a variety of things, but throughout my career, I have focused on various levels of the stack of people especially who understand, right from the bottom of the stack to the top of the stack, closer to the machines, to more on the application and business side of things. As part of that, I have acquired a variety of knowledge across various verticals and domains. In a way it’s good, in a way it’s bad too. We try to leverage the best part of ourselves. Recently, what I was doing is focusing on this disruptive technology, technologies of the future, things which are going to make a difference for us in the next five, ten, fifteen or twenty years. A lot of technological buzz is going around and sometimes it’s very difficult to fine-tune. What I’ve been doing is focusing on various aspects of engaging with technology companies in a variety of capacities. Sometimes it’s by investment, sometimes it’s by mergers and acquisitions doing the due diligences, sometimes by working with them in the partnership role, sometimes co-innovating, co-developing the solutions, sometimes just helping them go to market and have a holding hand towards the future. It’s pretty interesting, the world and time we are living in right now. You have a story background in working with some of the most innovative companies in the world. How did you get started in this field and what keeps you going? Sometimes it’s a matter of destiny, honestly speaking. At the beginning of their career, people have limited choices. I too had the same set of choices in terms of where can I go, depending on the skill set you have acquired by training or by your comfort zone or by whatever means. There are some choices but along the way, every one of us can make those specific choices which lead us into a specific direction where we want to go in. At least having a definite goal, maybe it’s an abstract goal to begin with, but having some goal of which direction or what’s the end point I want to go in eventually, for someone who is starting their career, that’s a very crucial point. Along the way, whenever there is a decision-making time, you’ll make the decisions which are in congruence with your long-term goal. That creates the path. Sometimes the path is not linear, sometimes you might have to come back and take the next fork in the road and go ahead with that. With an open mind and an open eye, people can survive and make the best use of their time in moving towards their ultimate goal. I’m glad that we’re getting a chance to connect with you and that we’re going to have such a seasoned expert give us a real drilldown of disruptive technologies. 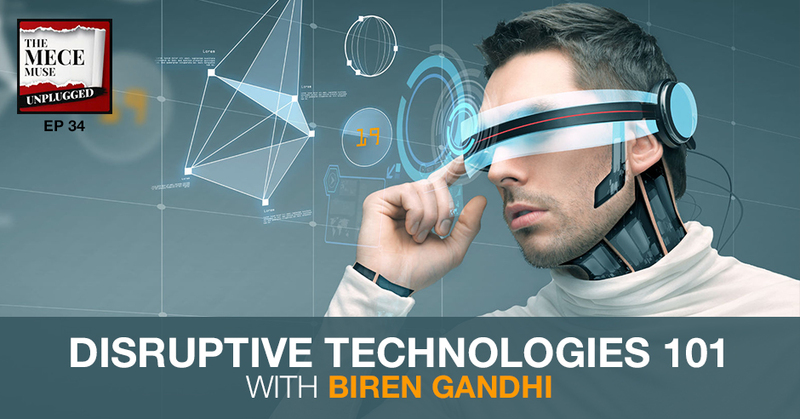 I’m dubbing this episode, Biren, as Disruptive Technologies 101, because I continue to get questions from mentees or from younger consultants. Hearing a lot of noise, hearing a lot of buzzwords but not being able to make sense of it or connect the dots, this is going to be a very popular episode. I’ve created a list of different words that I know I hear or see or read about, and would love for you to just unpack each word for us, what that specific technology is and how it may be currently used that we may not realize it. With each technology, if you can also share how you believe that technology will impact professional services, organizations or consultants in particular. Does that work for you? Yes, I would love to. It’s all information and knowledge sharing. The whole world is working on that shared economy, shared knowledge and shared best practices. My first buzzword I see a lot is IoT, Internet of Things. Biren, can you give us an overview of what Internet of Things mean? IoT, Internet of Things. Even though there is the word ‘things’ inside the IoT, IoT is made up of four components. It is people, process, data and things. Each of those components have unique places. I’ll start with things because that’s most obvious. The world we live in; we are going ahead from the centralized computation to distributed computing as we saw the waves coming and going forward. Initially, we started with super mega, supercomputers, and then we were accessing those computers with dumb terminals. Then the era came where everything switched to desktop computers and PCs. Going back to the cloud computing that centralized somewhere else, you were not managing your own data centers. Then the wave came on the smartphones, moving the compute to the edge. The pendulum swinging of technologies moving the compute, either in a centralized location or in a distributed location, has been going on for a while in the industry as a whole. IoT is basically making smarter things or devices or endpoints, which is they are not connected to the broader internet to leverage this connectivity paradigm, but they are getting connected slowly and steadily and having these intelligent computations running on them. Low-end devices like temperature sensors, humidity sensors, door sensors, alarms, video camera monitoring, all of those sensors are becoming more and more intelligent by their connectivity to the broader internet at large. That’s the ‘things’ part of IoT. Three other components are people, process and data. Even though it’s called Internet of Things, one of the crucial components in the whole mix is people. Ultimately, it’s the people who drive things forward. Ultimately, it’s the people who make those decisions and are responsible for business outcomes, making critical decisions along the way using the data. People are the most important component of the IoT puzzle. Along with people and things, there are process and data. Many times we are seeing the world like data is the new oil. Essentially, all these things are starting to measure but unless there are intelligent ways of interpreting this measurement and derive intelligence out of those, data is there but it’s raw data. How you derive knowledge and information and wisdom and make intelligent decisions based on the data using algorithms and a variety of other techniques is the critical part of it. The fourth component is the process piece of it. How do you make the workflows and processes more relevant, more meaningful? Compute was one example. How do you place the compute wherever it makes sense logically? For example, oil rigs, in some cases, they are generating massive amounts of data, those little sensors that are drilling for oil and various other things. That massive data has no bandwidth to send it up to the cloud, so they are running, burning the blue, red discs and shipping them via helicopters to the coast. Even in 2018 and 2019, if that’s the way, there is something different that needs to happen. 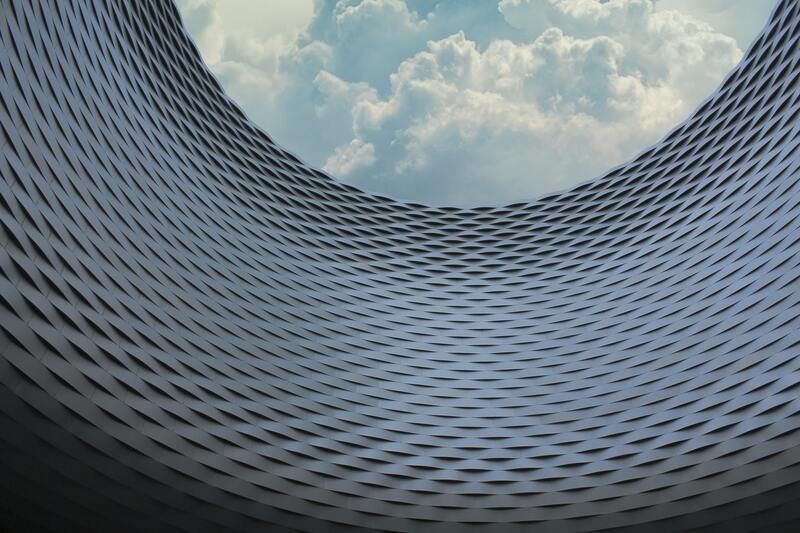 How do we convert those legacy processes which are highly-paperwork driven or highly-manual labor intensive into more automated, more agile, more scalable processes, digitization, digital transformation of the future? That’s the fourth component of this whole IoT. In summary, it’s people, process, data and things that are all acting together to create a better world for us. With IoT, is the goal or the future intent that every type of utility or object is IoT? What’s the end goal of all of these things? The end goal is making our lives better. Ultimately, it’s all about human lives. How can we improve the quality of life? That’s the overarching goal for the entire human race. All of our endeavors are in line with that. For IoT, it’s no different. Let’s take the sensors scenario. Sensors were not connected. They were locked components in cabinets somewhere. Let’s take a simple thing of utility, electricity reading, the meters. Previously in the world, somebody from the electricity or utility company had to go out from house to house for doing those meter readings. That process worked for a while, but the computation power and the storage and the network bandwidth are becoming so much cheaper today, that it’s much more efficient and much less error-prone to let those smart meters report the reading automatically on a periodic interval or on demand, without anybody paying a visit. We are not only saving tremendous human labor, but we are also removing a lot of manual errors, a lot of paperwork errors, by digitization of this entire workflow. That is a very simple example. We could utilize the more intelligent, higher order human intelligence. Our paradigm is making work more automated, smoother, and delegating all the mundane, laborious, routine and monotonous work to machines, where they can do it more cheaply, more effectively with less errors and use the human intelligence into the higher-order needs where it makes more sense because the human resources are becoming more and more costly than machine resources. I’m going to move on to the next word. This one is more broad, but AI, Artificial Intelligence. Can you describe what that means? So far we have heard a lot of things about human intelligence. Coming to the machine era, there are three different layers people talk about and I take the liberty to explain two other words also in addition to the artificial intelligence. People typically talk about artificial intelligence, machine learning and deep learning together in some interwoven form. Artificial intelligence, think of it as the highest level of abstraction about making the machines similarly intelligent as human beings. We are far from there yet, but the number of efforts are moving in that whole overarching direction. How can we have machines think and behave similar to human beings from an intelligence perspective? The Googles, the AlphaGo game defeating the world champions or IBMs like chess-playing computers, we are seeing a number of examples along the way where we are constantly trying to make machines learn faster and better and quicker than the human experts in the field. Artificial intelligence is that overarching field of making and demonstrating machine intelligence, very similar or very close to human behavior or human intelligence. That’s the highest level of field. One subset of that artificial intelligence is machine learning. That’s an approach to basically achieve some of the goals of artificial intelligence. Basically you have lots and lots of data, the past data and some training set. You train your machine learning or computer algorithms model based on that dataset that you have acquired in the past and generate some models so that it’s able to do predictive modeling of the future based on the past data. To give an example, if you have the last 50 years of stock market data, how can you predict that a given equity or a given stock is going to move up or down in the future? If you can come up with this magic silver bullet system, that’s a classic example of machine learning. That’s one way of replacing human intelligence with machines in some shape or form in maybe some limited domain, but the fundamental paradigm is learning from the past datasets and making those predictions in the future. In connecting the dots with the earlier question, IoT, when you make a machine smarter, one of the impacts is coming from machine learning also. You acquired performance data, let’s say jet engines, for example. Jet engines have been flying and generating massive data from various sensors. You have all these datasets but based on the dataset, if you can predict with very high degree of confidence when the next maintenance or the next breakage is going to happen before it actually happens, if you can predict that it’s better if you do the maintenance of this jet engine now instead of next year because some of the readings are telling me that something is wrong from a wear and tear perspective, if you can save lives based on this predictive modeling and predictive datasets, analysis of the past dataset and using it for predictive purposes, that’s a classic application of machine learning. The third field, the human subset of machine learning is called deep learning. It’s a technique for implementing machine learning beyond the predictive and all. There are other terms, artificial neural networks and convolutional neural networks and I won’t go into the details in terms of those things now, but that’s a very specific domain of object identification. How do you distinguish whether something is a human or an animal or some other object, and how do you define the characteristics of those objects as well? Whether it’s a male or a female or some other kind of human being. It’s much deeper than machine learning can achieve. There are three different levels: artificial intelligence, machine learning and deep learning. They all pretty much rely on processing of massive datasets. The field has always existed for the last 50-plus years, but the process is massive data, the computational power, cheap computational power, electricity and other things, they were pretty much nonexistent up until now. Recently, they are becoming more and more accessible and feasible, hence there is a rise and acceleration of all these domains. That’s so helpful when you connect the dots of the different words and how they interact. The next one is my personal favorite, blockchain. If you can share your thoughts on what blockchain is and how it connects with this whole new world. Disruptive Technologies 101: With an open mind and an open eye, people can survive and make the best use of their time in moving towards their ultimate goal. People are more familiar with all the Bitcoin hype lately that’s been going on in the marketplace, but few people understand the real distributed structural algorithms in a trustless environment. The whole premise is the foundation of Bitcoin, and that is the blockchain algorithm. The blockchain algorithm, most famously, it is being utilized for all these cryptocurrencies like Bitcoin, Ethereum, Litecoin and so on and so forth. The blockchain algorithm, the foundation of having trust in a trustless distributed environment, that can be utilized for many other dimensions and many other ways. Banks, for example, they are using this automated clearing house. Instead of having those manual processes and having centralized access to a certain bank, it could be much more distributed and machines verify the authenticity and endpoints of the transactions without disclosing the identity of the endpoint. For example, if I want to transfer some money to you, and there are tons of examples on the web online for that, but let’s say I want to sell my house to somebody else and none of us want to be disclosed of our identities in the transaction, and yet the transaction needs to be fool-proof and it needs to be authoritatively validated and compliant to all the local laws, one of the ways to implement is the blockchain mechanism. Think of it as a massive distributed database which takes care and behaves as if I talk to the database saying, “Make this transaction happen,” and the other person also says, “Make this transaction happen,” and the transaction happens. Underneath, it’s a massive network of distributed systems; thousands and maybe millions of computations, millions of storage and network activity which orchestrate internally to make this transaction possible and have it in a reliable fashion so that it cannot be challenged. It’s mathematically validated for the correctness purposes, and it’s immutable, so it’s not reversible. Nobody can fiddle it and nobody owns it per se. Nobody has central uniform authority on top of it, which might allow them to change it later on for their own selfish purposes. It’s more of having trust in an inherently trustless environment. That’s the summary of blockchain. The example you gave about the house and being able to have that automatic clearance, is that going to be the case in the future of mortgages or is the example you gave an exception? When I go to buy a house in the future, is it that I will be connected somehow to a blockchain and that transaction happens with the seller and we don’t even connect but we know that everything is been cleared? I want to make sure I understand the dynamic. That’s one example. Any give and take transaction, currency is the most obvious one, people spend money and people basically earn money. Money exchange is one transaction. House is another kind of asset, so I’m transferring a house to something else, or you transfer any other kind of asset. That domain is called smart contracts, for example. You add smartness to the contract. Right now, escrow companies basically own that piece of transaction and they facilitate to a certain degree from an identity prevention of buyer and seller and making sure everything is compliant, the title is clear and all that, but there is still a single party which is doing that, single escrow companies taking care of that. Whenever there is a single entity doing anything, people are reliant, people are at the mercy of that single entity. 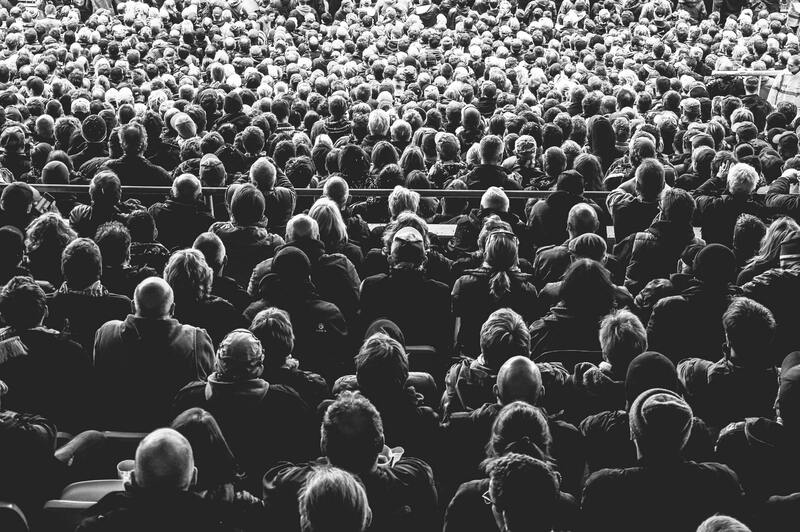 In the future, the world is becoming more democratic and much more decentralized. People do not like the increased dependence on the single parties. All such transactional interactions are bound to happen in a distributed manner so that there is no single entity controlling all the dataflow in the validation and the compliance checks, but it’s a massive computer network. It’s no human intelligence in there, so whom you can influence and have a biased decision-making and all that. It’s all in a way, dumb but smart computers taking care of it in a machine intelligence way about the whole transaction and orchestration of the transaction in a distributed manner. The same copy of the transaction is deciding on thousands of computers at the same point in time. Even if somebody gets access or someone’s computer gets hacked, the transaction at large is not affected. The integrity and cohesiveness from the transaction at large is not impacted as a result. It’s much more trustworthy in that sense. All such give and take type of transactions, not just house and mortgages, but all such transactions in the future, even including supply chain where I’m sourcing various parts to build a product, how do I know the authenticity and genuineness of a given part from a given supplier, there are many other domains which are coming up with various use cases around this blockchain idea. The next one I have on my list is RPA, Robotic Processing Automation. Share with us what that means. RPA is one of my favorite fields or drones. The RPA acronym is used for drones as well. It’s Remotely Piloted Aircraft as well. I’ll try to touch on both the robotics automation and drones in general. The robots have been in the workplace for a long time, especially in the automobile and manufacturing and heavy industries and all that. There are various reasons, either the manual thing was not safe or it was too monotonous. In my keynote speeches, I tag them as 4D activities. It’s dull, dirty, difficult or dangerous, 4D tasks. Either it’s a dull and mundane task which no human being wants to do, or it’s a dirty thing which nobody wants to get spoiled in whichever connotation of dirty we can think of, either physical or much more metaphorically speaking. Or it’s extremely difficult for humans to take care of that object, or it’s dangerous from a safety perspective of human beings. All of those things are being taken care of increasingly by the machines. Heavy machines in the beginning which were manually operated, then automated machines that we call robots, then intelligent machines which are making autonomous decisions based on certain machine learning and artificial intelligence paradigms. Or flying machines, what we call drones. Drones are also being increasingly utilized. Initially, the RPA term was designated for drones because of the presence and affiliation with the military. People were remotely piloting those aircrafts obviously for surveillance and many other things. Drones are becoming much more viable and feasible in the commercial segment. 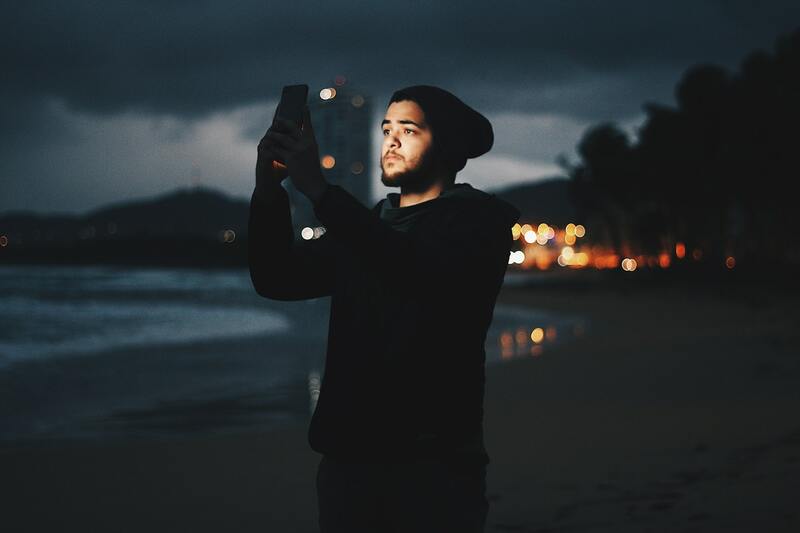 Individual consumers are increasingly using them for photography, some difficult-to-take shots, aerial shots and videos and all, all the way to the commercial ecosystem like cellular tower inspections or aerial photography or coverage of live events, windmill inspections, or many other inspections to the live event coverage to other domains, they are being served effectively and cost-effectively by these flying robots or drones. The robotics is becoming a much more integrated part of our day-to-day lives. Previously, it was unknown because it was primarily limited to the heavy industries and most of the population was disconnected from them. Lately, they are becoming part and parcel of our everyday lives. For example, Roomba, the robotic vacuum, it came into the household, so that’s a new robot which does its own vacuuming, and the consumer drones which are flying all around us. They are becoming more and more visible and these flying machines or autonomous machines are becoming much more integrated into our daily lives, which was not the case two decades earlier but now that’s the trend we are seeing. My last word is going to be fog computing. Tell us what that means. Fog computing is a unique distributed computing paradigm for this IoT. When I was describing IoT, it means putting the computation wherever it makes sense. If you look back, the computing market has been doing the swinging between the centralized computation or the extreme edge computing, so from cloud computing to the smartphones. In one case, you just put everything, all your compute and intelligence, everything in the cloud so you capture all the data, everything flows into the cloud, and all the algorithm intelligence is running in the cloud. That’s one extreme. Other extreme is let’s say smartphones. Today, you collect the data locally and you process the data or applications, various applications, games, running inside your smartphones. They capture the data and they capture your face also. Like Snapchat, they do various transformations on top of that, or Instagram. Basically, you capture the data locally, you process it locally and also do some transformations before publishing to the cloud. You do the processing on your smartphone. Those are two extremes, either the cloud or the edge. Fog computing is putting the computation anywhere in between, anywhere along the spectrum. That’s the most powerful way of defining fog. You should not be limited to this either extreme, cloud extreme or the edge or device extreme. You should be able to run computational algorithms anywhere along the way. Very few people who are in the networking industry, they know that there are many networking hops along the way. When the data moves from my smartphone to the cloud, there are many hops along the way. It does not go in one stretch. Technically speaking, all of those hops are potential candidates for running computations. In some cases, it may save your bandwidth. Let’s take a practical example. If I have a temperature sensor, which most of the time during the summer months in California, it basically stays around let’s say 85 degrees Fahrenheit. If I am capturing the data every second from the temperature sensor and all it says is 85 degrees, sometimes 86, sometimes 84, it doesn’t matter, and if I’m shipping all that data to the cloud, I’m utilizing my network bandwidth effectively for mundane purposes. It’s not doing any intelligent job for me. Instead, if I put a fog computing node, some computing algorithm somewhere in my home Wi-Fi gateway, for example, which takes care of three of my temperature sensors and it captures the data, let’s say the bounds are 80 to 90 degrees, only if the temperature is out of those bounds of 80 to 90 degree Fahrenheit, only then report it up to the cloud. Otherwise, it’s business as usual, nothing to report. Why waste the effective bandwidth of the network for that? There’s no purpose. It’s not giving any more intelligence. It’s just raw data which is mostly noise. That’s one example of how fog computing can help you save the effective bandwidth by pushing the compute in my home Wi-Fi gateway instead of running that computation in the cloud. The entire pipeline between my home and cloud, that’s free. It can be utilized for more meaningful purposes instead of just transmitting this dumb dataset every second. That’s one practical example of fog computing and there are numerous other examples. There is in fact a fog consortium which Cisco led in and it’s been going on for a couple of years already. There are more than 50 companies and academic institutions that are members of that. Check out the OpenFog Consortium website as well. There are many more use cases of what fog computing is, and what it could be utilized for, what kind of practical problems it can solve. This was really helpful information and insights, Biren. Another question that I have is when you think about the future and beyond, what are some things that you see in the future that people should be considering, particularly consultants? A lot of people are putting their analysis of 2017 and predictions for 2018, but what I like to see is more of an end goal oriented thought process. In fact, I wrote a blog post on some nine leadership attributes that everyone should strive to cultivate before 2019. Keep that goal of 2019, 1st January 2019 as the starting point and what can you do in the rest of 2018 to cultivate those goals. There are nine leadership attributes. It’s more of following the A, B, C, D, E, F, G, H, I, the first nine letters of the alphabet, being an authentic leader to being a business impact, always thinking other items, leadership, contemplative leadership, discipline leadership, experimental, experiential leadership, fault-tolerant leadership, genuine leadership, helpful leadership. Not only being selfish but thinking about others. Finally, introspective leadership; how you can constantly think about improving yourself. Some of the attributes are needed for everybody irrespective of whether they are at the beginning of their careers as consultants or they’re masters as consultants or they’re working for somebody else or having their own business. It’s a universal appeal and that’s what I would like all the audience of the podcast to think about. Disruptive Technologies 101: It’s the people who drive things forward, people who make those decisions and are responsible for business outcomes. I like this conversation because we talked a lot about the technologies, but I love how you rounded it out and talked about the leadership, the people skills that will help enable and drive this new world. Ultimately, it’s all about people. It’s all about ourselves. How can we be better selves of our own in the future, coming years? It’s constantly improving and learning and developing some new skills, either tangible or intangible, but adopting and learning and making ourselves a better individual as we move forward. If individuals are interested in connecting with you and learning more from you, how can people find you? Can you maybe share some of your handles online? I’m active on LinkedIn. LinkedIn is the best place. LinkedIn/in/BirenGandhi. Twitter is @BirenGandhi. Those are the two obvious places to connect and reach out and follow and share interesting dynamics for the future. I want to thank Biren for being on this episode. Hopefully you’ll come back because I feel like this is an ongoing conversation and people that are going to be great consultants in the future need to continue to be educated on all of these technologies. It’s an educational experience for me also. I call it the three Ls; it’s a lifelong learning for everybody. I definitely am looking forward to coming on the show again in the future. Thank you, Biren. Thank you, my go-getters, for tuning in. This is Christie Lindor, signing out for The MECE Muse Unplugged pop-up podcast. Here’s to your journey to greatness. adoption through acquisitions, development or partnering. He has built a successful track record of bringing innovation to life through strategic collaborations with startups, venture capital firms, universities and partner ecosystems. Biren has nearly 20 years of leadership, strategic and tactical technology experience in diverse verticals like social networking, cloud, big data, mobile, telecom, social gaming and enterprise collaboration. Prior to joining Cisco in 2011, Biren was divisional CTO of a few gaming studios at Zynga and before that a Sr. Architect at Facebook. He also co-founded AdMunity, a startup providing a collaborative social platform for the advertising community. Biren actively participates as a keynote speaker, panel judge, mentor or advisor in internal and external events in the venture capital, startup, innovation, accelerator and incubator domains, focusing on disruptive new frontier technologies. 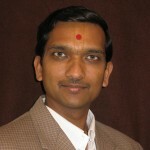 He also participates in fund-raising efforts for a number of non-profits and enjoys sharing his various interests at http://thoughts.birengandhi.com.